First posted Sept. 3rd., 2011 in my motorsports blog, which is now closed. It seems like a year since I last watched a Le Mans 24 hour race, but in fact it’s less than three months! I wish I hadn’t mentioned that. It’s depressing to think there’s more than nine months to the next one. Eurosport’s coverage seems to get better and better. This year, they showed not only the main race, but also the 45 minute Le Mans Legends race. This is for cars built between 1949 and 1965. 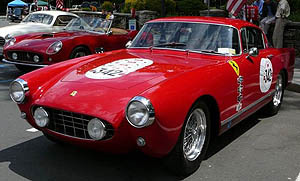 Many of the car makes were well-known, and are still known today, like Porsche, Ferarri, Lotus, Jaguar and Alfa Romeo. Others I recognized from my youth, those with more rare names like HRG, Frazer Nash, Morgan, Austin-Healey and Alard. Something the commentators kept talking about seemed very strange. One of the front-running cars, they kept referring to as a “bitsa” … or that’s what it sounded like. To my ears, it seemed like they were talking about a kereta rojak, built from bits-of-this and bits-of-that. That’s what you’d call an Alfa with a Jaguar engine and Lotus suspension. These were supposed to be thoroughbred sports cars, not bitsathis and bistathat. So, after the race, I had to investigate. 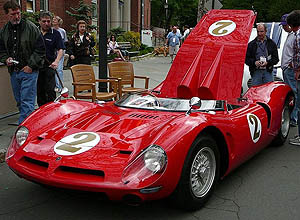 Giotto Bizzarrini, as we could guess from his name, is Italian. He was born in 1926, joined Alfa Romeo in 1954, and also worked for other car manufacturers including Ferrari before starting his own company in 1964. If my arithmetic is correct, the gentleman is now 85. You’d think he might have retired by now. But no, he’s still building and designing cars, plus teaching at Rome University. 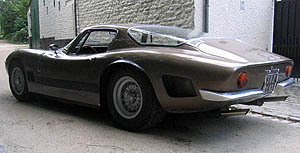 At one time, Bizzarrini also owned an engineering company, Societa Autostar, which amongst other things was commissioned to design a V-12 engine for Lamborghini. Beyond that, not much information is available. It seems he was far better at designing cars and engines than at marketing himself or making money. Nonethless, his cars are rare and much sought after. If you can find one for sale, you can be sure the price is “P.O.A.” In other words, if you have to ask, you can’t afford it.